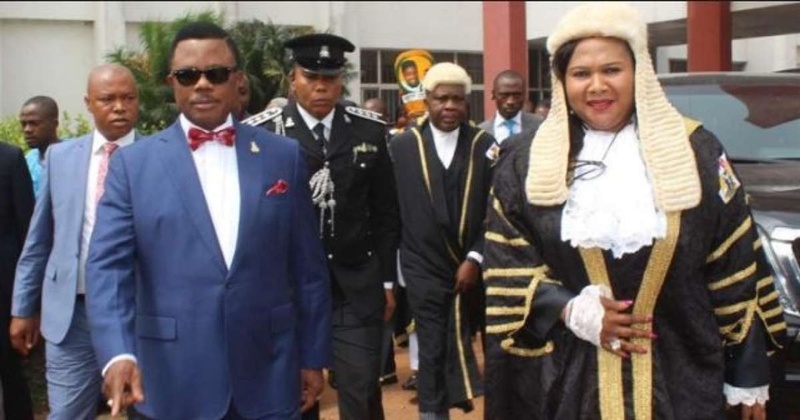 Peace is yet to return to Anambra State House of Assembly following Tuesday’s impeachment attempt. There was tension in the vicinity of Anambra House of Assembly on Thursday as Police deployed heavily armed personnel at strategic points leading to the parliamentary complex. The House is expected to resume sitting on Thursday after its crisis which began on Tuesday over an attempt to impeach the Speaker, Mrs Rita Nmaduagwu. Policemen were stationed at Ekwueme Square, NULGE Secretariat Junction and barricaded roads leading to the Complex with patrol trucks. Some members of assembly on Tuesday purportedly impeached the Speaker and elected Mr Ikem Uzozie as her replacement.